Homecoming King and Queen Voting: Voting for Homecoming King and Queen will take place online Thursday, September 8th. 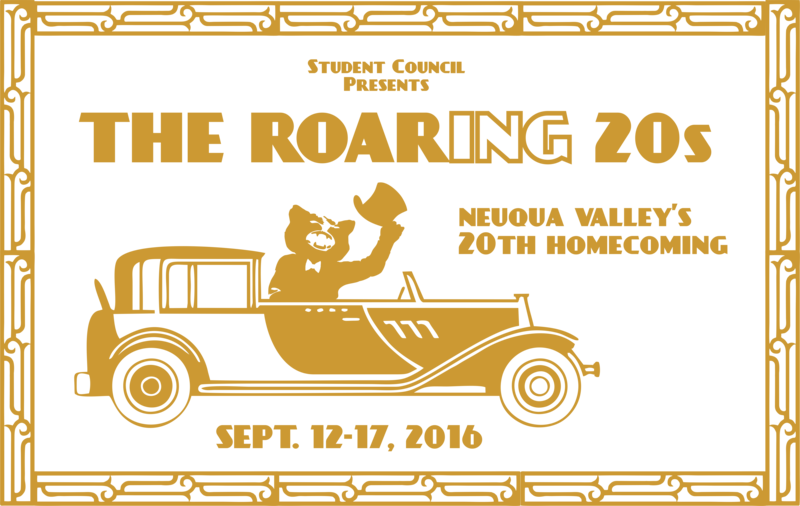 Click here to use your voice to choose the 2016 Homecoming King and Queen. Homecoming King and Queen Coronation: Friday, September 16th at the pep assembly. Homecoming Spirit Days begin on Monday, September 12. Homecoming Tickets: Homecoming tickets go on sale Monday, September 12th during lunch periods only – cash only, no checks accepted – you must have your current ID – avoid the long lines, buy your tickets early!!! $20 now (during lunch periods), $25 at the door of the dance. You must have your guest pass completed before buying your ticket. They are available online. Homecoming T-shirts: Go on sale Tuesday, September 6th in the main office at both buildings for $5. Homecoming Bonfire: Wednesday, September 14th 8:30-9:30 p.m. Every student must have their current ID to enter the Bonfire. Homecoming Dance: Saturday, September 17th from 7-10. Doors open at 6:00. Don’t forget – you must bring your current ID and guest passes to the dance and you must be at the dance by 8:00, doors close at this time.